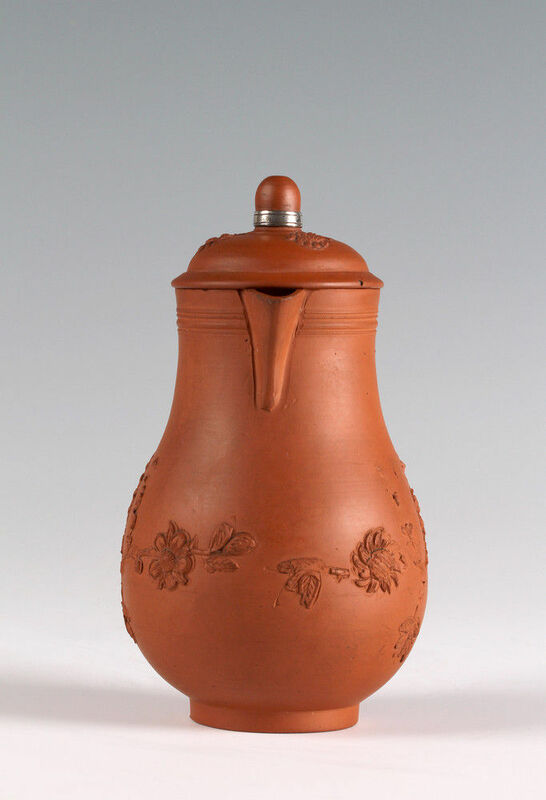 The finely turned slipware body applied with floral sprigs. 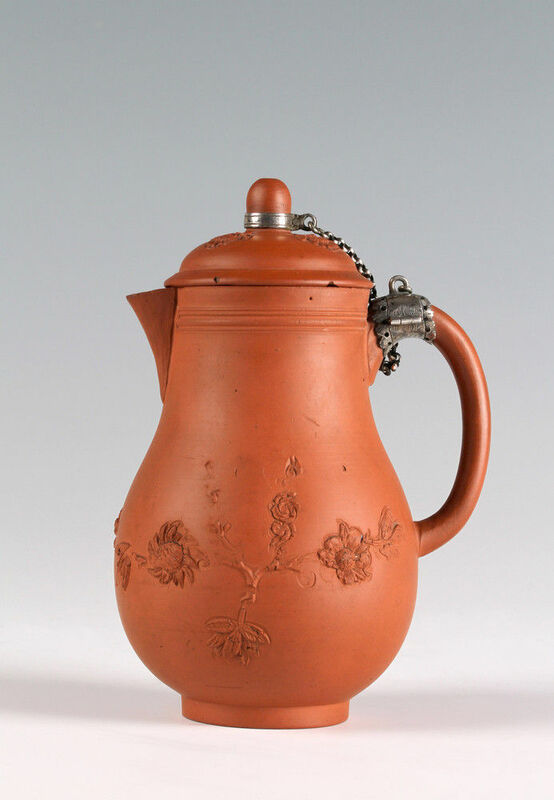 The brothers, John and David Elers were well-connected silversmiths who arrived from Holland in the 1680s, and established potteries in Vauxhall in London and in Staffordshire. They are credited with introducing the revolutionary technique of slip casting whereby a suspension of fine clay is poured into plaster of Paris moulds and also for introducing lathe turning on ceramics. 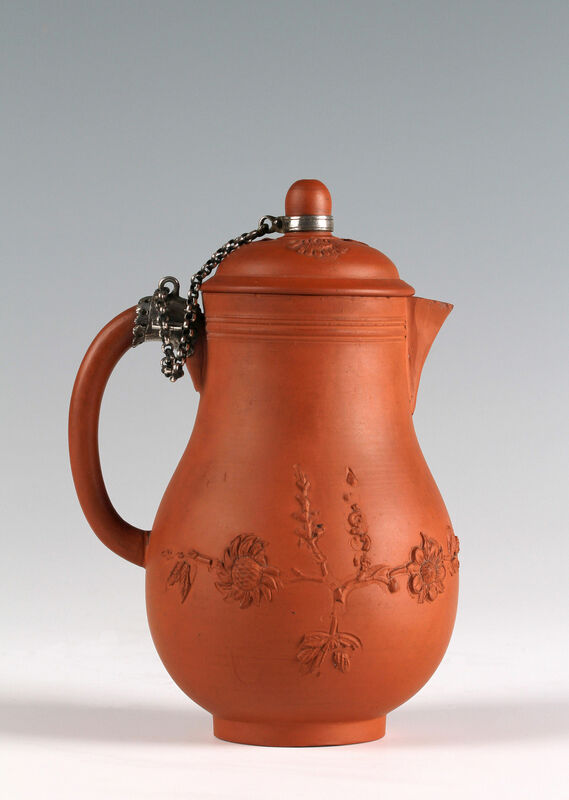 Casting had long been used for silver and other metals but not for the production of ceramics. Their first attempts at making redwares in Vauxhall came to a halt after they were prosecuted for breaching the patents of John Dwight of Fulham. They moved to Staffordshire where they were able to find the even deposits of clay of very fine particle size that were suitable for slip casting and which, with lathe turning, gives the body its extremely fine silky texture. 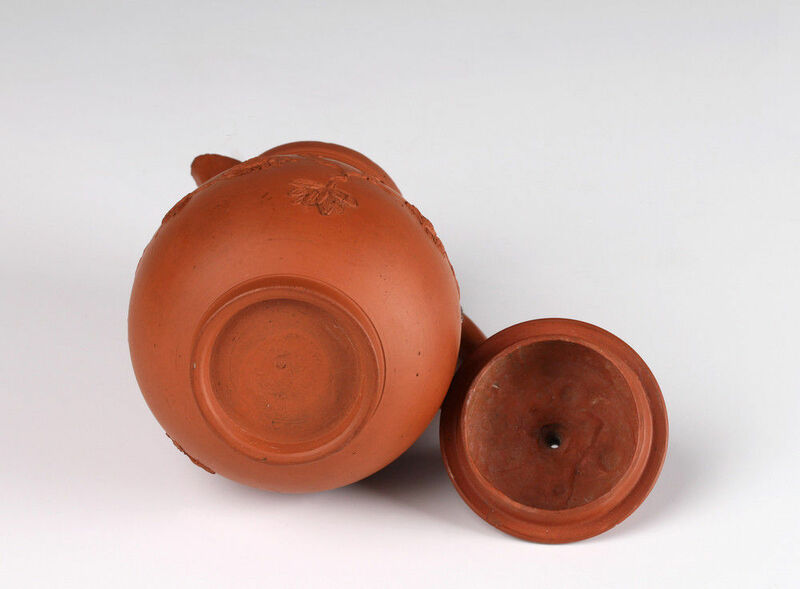 The use of slip casting is evident in the unturned interior of the body and lid and in the minute airholes visible on the surface. Their work was undertaken with great secrecy. The silver mount and chain contemporary. Condition – Two sections of the inner rim of the cover restored, chip to cover and minute chips to tip of spout, losses to sections of applied sprigging. Literature – For a full discussion of the work of the Elers brothers, seeJohn and David Elers and their contemporaries, Gordon Elliott, Jonathan Horne publications, 1998. A similar silver-mounted example with a variant neck is illustrated plate 4 and on the front cover of the book.